Apostle Hussein Philips is Pastor, House of Mercy, Lekki, Lagos. 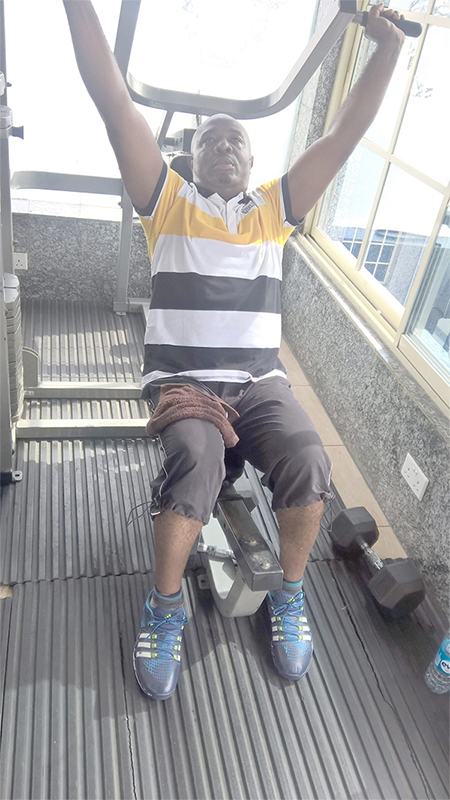 In a chat recently,Apostle Philips told Independent that physical exercise is a scriptural injunction just as he explained why visit to the gym has become part of his weekly health regimen. How long have you been visiting the gym? I started last year; it’s been about a year right now. How regular do you visit the gym? I engage in exercise a minimum of three times in a week at Genesisfitness50. What were your initial complaints before you started visiting the gym? As a preacher of the gospel, you need stamina; you stand minimum of eight hours in a week either preaching or teaching, so you need strength. At a time, I noticed that I was gasping in course of my daily routine; I was also losing my strength. Generally, I was always feeling tired, then I decided to visit the gym and it’s been awesome. Are there positive changes in your health, since you started exercising? Absolutely, there are positive changes in my health. More importantly, I was beginning to have problems with my Blood Pressure (BP) and sugar level, so my doctor recommended that I should start visiting the gym. However, since I started exercise, my sugar level is now normal. So, exercise not just for physical fitness, but also medicinal. Do you have other benefits? I have stamina and this macho feeling. In fact, I feel alive and a general feeling of wellness which is very important. What were you weighing before and now? Before I started visiting the gym, I was weighing104 kg, but today I am 79 kg. I am still on it and hope to weigh 60 kg. My waist was crazy; to bend and lift my waist was a problem. Number two, I couldn’t run or do any exercise without gasping for breath, but right now it’s over. Can you say that this has reduced your visit to hospital or stop using some drugs? I am telling you my BP and sugar has normalised. My only illness was body weakness, but now, I am okay. Surprisingly, I thought you would have resorted to fasting and praying as a man of God to keep fit. What’s your advice to others? Every Pastor, every Christian must engage in fitness. Body exercise has profits, so let’s take the profit. Will Frozen Eggs Aid Pregnancy?